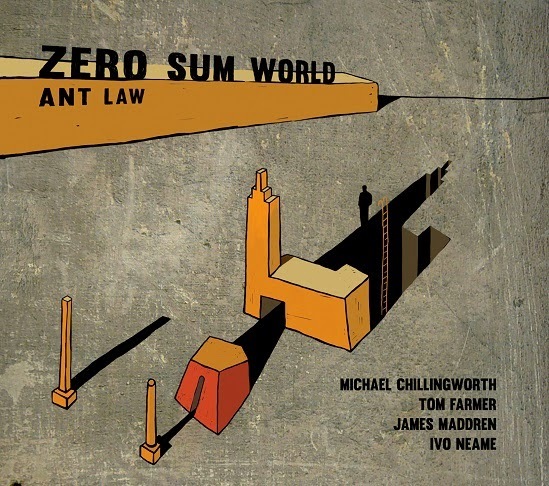 Whether we look into a dystopian future or it's past, you can't help but teeter on the verge of discovery when you experience Ant Law's imminent release (16th Feb 2015) on Whirlwind Recordings. As ever here at AOJ we like to delve into both the music and the art that represents it visually. 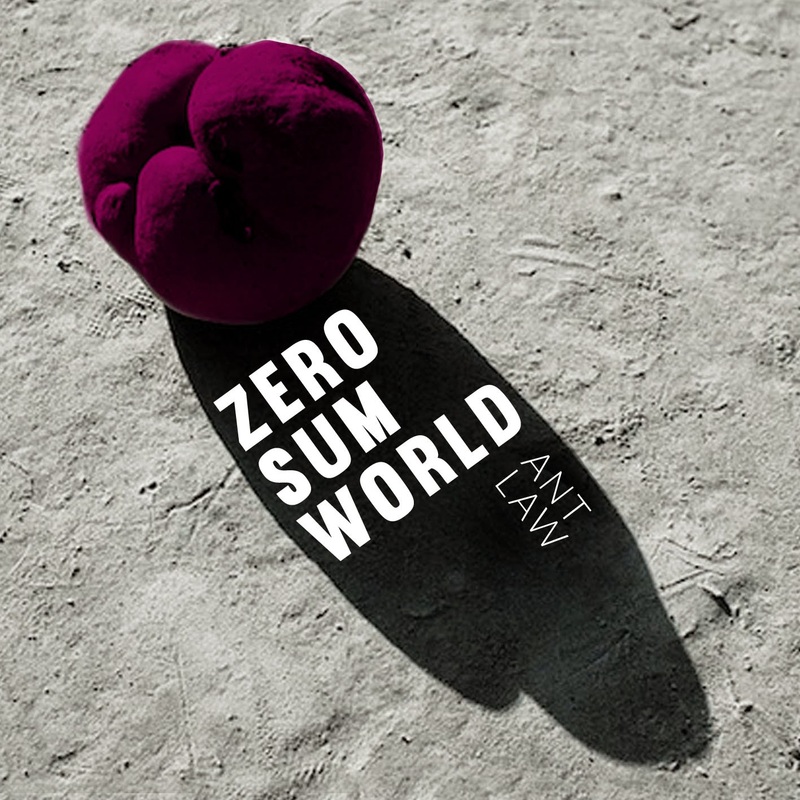 The artist who has drawn her inspiration from Law's new album, Zero Sum World, is the multi-talented Iza Turska. She has form with Law for it is she who created the artwork for Entanglement, his debut album in 2013. It is unsurprisingly that Iza Turska has handled Zero Sum World with such skill, she originally trained in both Product Design (BA) and Graphic Design, Painting, Drawing, Ceramics (MA) at the Wroclaw Academy of Fine Arts in Poland. The buildings we see before us on the album cover have withstood a blast that has raised the surrounding landscape to mere scattered particles. An underground world is revealed and Man metaphorically stands above the abyss. Yet there is hope, for where there is a ladder, there is the opportunity to climb up as well as down. The choice is ours. The image was developed gradually, starting off with a portfolio of ideas and styles. 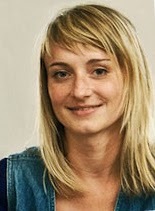 Iza Turska was inspired by the music itself and the title/concept behind it. Then it was a matter of honing what they liked with a few chosen ideas being fleshed out into more powerful statements. Eventually it was the combination of shadows against the stony backdrop and warm earthy buildings that caught the discerning eye. Ant Law explains, "We wanted the concept to come across as far as is possible without it being too obvious. I was toying with much more apocalyptic ideas too. If you listen to the title track (track one) it builds from very very sparse to total chaos and then disintegrates, which has an apocalyptic vibe. I actually was influenced heavily by Vijay Iyer's “Because Of Guns” piece." The title comes from the “Zero Sum Game” in mathematics (Law himself was a scholar in Physics at Edinburgh University): when the total number of points belonging to the winner added to that of the loser equals zero. As such in a zero sum world no one can profit without someone else's loss. The music on his new release was recorded immediately after an extensive 29 date UK tour and a brief sojourn to Brazil. His band features four guiding lights in British contemporary music: Ivo Neame (piano), James Maddren (drums), Michael Chillingworth (​multiple reeds​) and Tom Farmer (bass). The album already has a 4 star recommendation from Marlbank. The album's 7th track, “Triviophobia” is about not taking things too seriously, in particular the arts, and especially music. 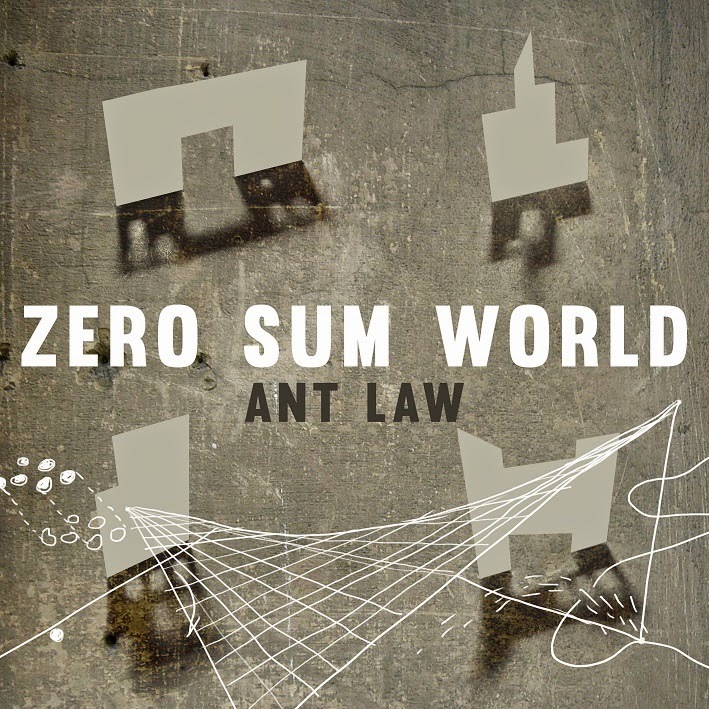 It is therefore admirable that Ant Law has chosen the artwork of Iza Turska to represent his music. She treads a tightrope with his concepts, quite possibly with the serious battles we face ahead, but it is done with a simplicity in mind. It is an idea. Just one simple idea to start the thinking process.